Disclosure: An ARC of this book was provided to me by Dorchester Publishing via NetGalley. This rating, review, and all included thoughts and comments are my own. 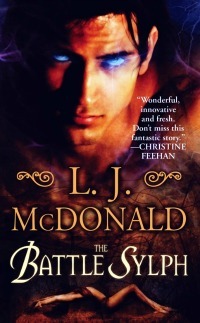 Six years ago, a young girl named Solie was brought to a castle to be a sacrifice, to die at the hand of a pompous king's son so he could enslave a battle sylph, a magical creature from another dimension. Things didn't go so well for the son or the king. They went much better for Solie, who named the battler and became his love and master. He made her his queen. For six years Solie has ruled as queen of Sylph Valley. The battle sylphs protect their queen and the hive above all things. Their power is legendary, their rages terrorize. They are the unstoppable force and the immovable object in one fiercely protective being of unimaginable power. It's been a peaceful six years. No one dares try to cross the battlers in Sylph Valley. At least, until now. A new source of evil slips into the valley and like a pestilence, spreads death and decays hope, stirs fear and incites rage. This evil twists the lives of those it touches, creeping, clawing its way ever closer to its goal, destroying whatever is in its path in a carefully plotted and insidious plan to kill the queen. This is an evil that not even the mightiest of battle sylphs can defeat. Unfortunately, not even battlers can defeat what they can't sense...even when it's right in front of them. I'm such a huge fan of this series. I have been right from the beginning. It's such a unique and brilliant blend of complex characters and imaginative storylines ripe with dashes of humor and devious machinations by both the good and the not-so-good. There is intrigue, action, magic, and elements that are deeply disturbing for their grim darkness and viciousness. The first two books in the series were among the most memorable of all the books I read last year, and this one is no different in that respect. I have to hand it to McDonald, there are aspects of the plot of this book that are utterly brilliant in concept and execution. The conflict in the plot was less expansive than that of the previous book, where a whole kingdom needed to be overthrown, but for all its containment, it is chilling and disturbing in ways that churned my stomach in places. 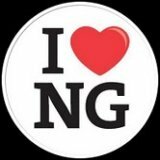 The Bad Guy in this book is one of the baddest I've had the pleasure of reading lately, and my heart bled for the victims. Especially Claw, who has seen little more than horror since he crossed over into this world. He's such a tragically broken sylph I couldn't help but feel for him. Of course, my favorite characters from the series are back. Ril and Leon return from their successful rescue mission of Lizzy (The Shattered Sylph) early in this book, and it's lovely seeing Ril finally finding some peace with both Leon and Lizzy. This book also has a wonderful ensemble case of familiar characters who have great chemistry when they're together, whether it's intermingling in their day-to-day or fighting together against an outside threat. 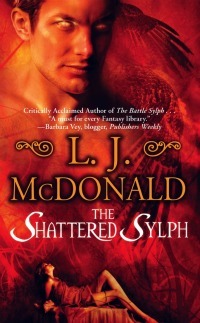 There are also some great new characters that I enjoyed meeting in this book, especially the healer sylph. Her plot threads were a delight that gave new insight into the world the sylph come from. This book doesn't have the romance thread that existed in the first two books, but I didn't miss it. The romances in this series have never really worked for me because of the young age and the naivety or innocence of the female romantic lead characters. Not having to deal with it in this one was a nice treat. I wasn't quite as fond of the overall plot of this book as I was the previous one. It felt a bit lacking to me in both depth and complexity in comparison, and it dragged a little for me in the middle. It also didn't leave me feeling the same sense of urgent suspense that I did when Leon and Ril were trying to find and rescue Lizzy, though that's not really a criticism, just commentary on how much I love the characters and the dynamic between Leon and Ril. I felt Justin's ancillary plotline was painfully predictable (I saw that one coming from the middle of the previous book) and surprisingly two dimensional. It could have been better woven into the other threads and developed earlier to keep it interesting, but it seemed too in-your-face to manage much beyond surface conflict. And few of the characters in this book really bugged me, too. I've never been a Solie fan. She was far too girlishly innocent and naive for me in the first book and though it's obvious that she's matured some, she still strikes me as someone both immature in her rule and not all that bright in the grand scheme. Heyou, her battler, flat-out annoys me. He's always been young, but he seemed both young and overly goofy in this one, like a cross between a twelve-year-old on a sugar rush and an excited puppy. Heyou is the queen's consort, I'd think he'd start maturing at least a little over six years. That didn't seem to be the case here. I also struggled with Gabralina's character and her battler Wat. I totally recognize and freely admit that my issue with them is a major personality flaw within myself, but I had a struggle sympathizing with characters who go beyond simple-minded and slightly touched in the head into the realm of too stupid to live. Both Gabralina and Wat fell into the latter category in several places in this book and I had difficulty maintaining sympathy for either of them. Well...until Wat's situation deteriorated to such an extent that I couldn't help but feel ill at what was being done to him. He had all my sympathy then. All of that brings me to an issue that I've been struggling with throughout this series, despite how much I've enjoyed each of the books. It's an issue that really came to a head in this book. I'm getting very uncomfortable and dissatisfied with the roles of the female characters in this series. They all seem to be young, innocent, and so naive it's painful, or they are not-so-young and have been victimized in one way or another. Some have gone from one to another as part of the story. None of the women in this series have any power independent of the sylphs, and they are often written as lacking intelligence, worldliness, or self-sufficiency. They tend more towards being untried, inexperienced, naive, silly, or gullible. Solie may be queen, but from what I've seen she's too kind of heart, too gentle and timid to rule her people. Mace's widow embodies several stronger characteristics, but she's been set apart as an atypical female in their culture, and she's both older and not a main character. Leon's daughter Lizzy has the potential to be a sharp, savvy woman, but she's untried and untrained, and at only eighteen, she's still a girl to me. There are just no strong female heroines who have any significant presence in this series. The women have battlers to fight their fights, and they're protected and cossetted by the sylph who are their mates and by the hive battlers in general. Despite having a girl as queen, the society seems feudal and patriarchal. That aspect of the series has never appealed to me, but seemed even more pronounced in this book. I'd kill for one single large-and-in-charge heroine capable of using wit and wiles to her advantage in this series. Still, I love the series, and this book has many wildly excellent scenes with tense plotting and lovable characters. Parts of the book broke my heart, parts made me whoop in triumph. I'm dying to know what comes next. I'd highly recommend readers new to the series start it from the beginning, though. No amount of exposition, no matter how carefully woven into the story, can make up for being introduced to these characters and sinking into their relationships with them as they develop, seeing their journey towards a mutual destiny begin, and experiencing it all with them as it goes. 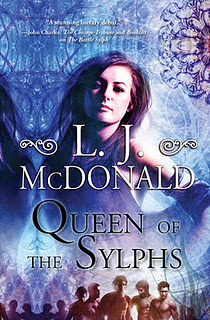 Queen of the Sylphs is a strong book and a great installment of a fantastic series that I highly recommend.